Performance Preparation Academy’s rather formal title in no way prepares you for the feel-good friendliness of the place itself. Situated in sumptuous new premises in the heart of Guildford town, PPA seems to be peopled entirely by a breed of bright, shiny, smiling teenagers – a species with which I am unfamiliar. Maybe it is not so surprising since they have an excellent example in the co-principal Rachel Crouch, a bundle of energy, fluency and vision who set up PPA almost five years ago with her fellow Laine Arts graduate Louise Glarvey. Crouch had been running a very successful Stagecoach franchise in Sutton for six years prior to that, with Glarvey as her full-time dance teacher. She discerned a gap in the training market. PPA has been offering a year-long intensive musical theatre course, aimed at preparing older teens for drama college entrance, for three years. They have maintained an incredibly high success rate, hovering between 90 to 95 per cent, as well as establishing an excellent reputation for pastoral care. Crouch and Glarvey have built up strong relationships with a number of top drama colleges, including Arts Educational Schools, Mountview Academy of Theatre Arts, the Academy of Live and Recorded Arts, the Royal Welsh College of Music and Drama, Guildford School of Acting and the Royal Conservatoire of Scotland. Last year, PPA launched a three-year diploma course in music, dancing and acting, with an additional musicianship module which is basically learning to play at least one musical instrument. 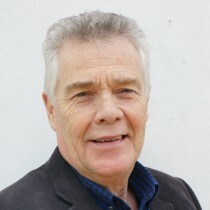 It is run by Gerry Tebbutt, the former head of music and theatre performance at GSA. For younger ones there is a Saturday dance school, also started last year, covering ballet, tap and modern dance, as well as one to one singing lessons if requested. Like everything else at PPA, this is predicated on Rachel Crouch’s belief that in order to fire up the kids the teaching has to be dynamic, fast-paced and passionate. Compounding the family theme, both Crouch’s and Glarvey’s husbands work for PPA, James Crouch as finance director and Costa Pieri as facilities manager, placing students in local accommodation and dealing with any attendant problems. Crouch says the college has been embraced by Guildford, taking pride in the fact that her students, in their PPA hoodies, are a familiar sight in the town. Both PPA’s patrons, Kerry Ellis and Bonnie Langford, are enthusiastically hands on, offering mentoring sessions at least twice a year. In terms of its buildings, the main one is a beautifully converted Gothic pile – once the offices of the Royal Bank of Scotland – a stone’s throw from the town centre. They are having to vacate the nearby Bellerby Theatre and Studios, which they have been using for several years, because the site has recently been purchased by Waitrose. They are at present looking for replacement back-up premises in the town.